Situated some 200 km from Perth in the centre of the Wheatbelt region, Kellerberrin, with its population of approximately 1,300 people, is a regional centre for the surrounding wheat and sheep farming areas. It also supports an agricultural equipment manufacturing industry. European exploration of the area dates back to 1830 when Ensign Robert Dale passed through the region. He reported back to the Surveyor General that the country had chains of salt lakes, patches of grassland and whitegum forest through which box poison grew in great profusion. During the next three decades sandalwood cutters worked in the area, selling the fragrant timber which was shipped to Asia for use in incense and oils. Charles Hunt passed through the area on each of his four expeditions, during which he established the chain of wells known as Hunt’s Wells that saved the life of many a prospector rushing to the ‘fields in search of gold. Although some pastoralists, such as ER Parker who moved into the area in 1861, risked the box poison, it was not until new agricultural techniques, such as the use of guano fertiliser and fencing wire, improved productivity in the 1880s that the area was settled. The discovery of gold at Southern Cross seemed to assure the local community’s prosperity as prospectors passed to and fro between Perth and the Goldfields. Their future was, however, threatened when it was proposed that the railway should not run through the settlement but some 18 km away. The settlers protested strongly and successfully, and in 1893 the first train arrived at Kellerberrin. 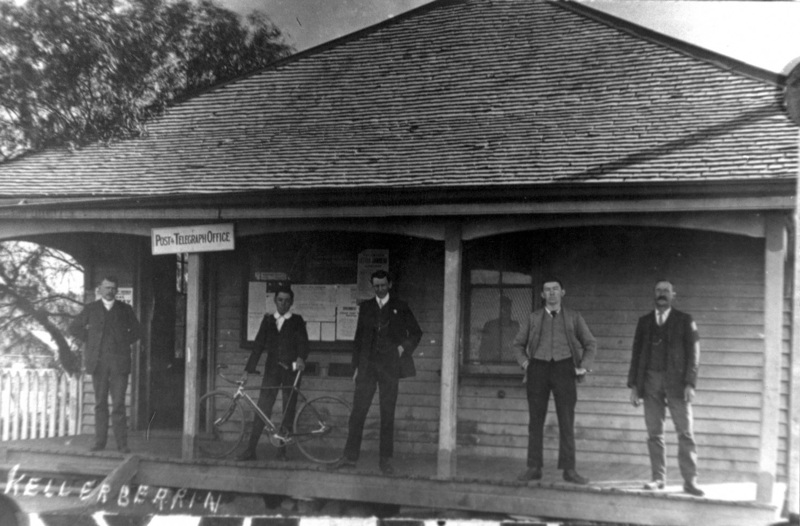 The next refreshment stall was Kellerberrin which was reached at midnight. Here was a huge fire burning to indicate the shanty and an Irish girl was handing out a cup of tea and sandwich at 1/- a time and she called the place “Killerburn”. In the 1890s, State legislation was passed to assist the development of the wheat farming across the State’s interior. 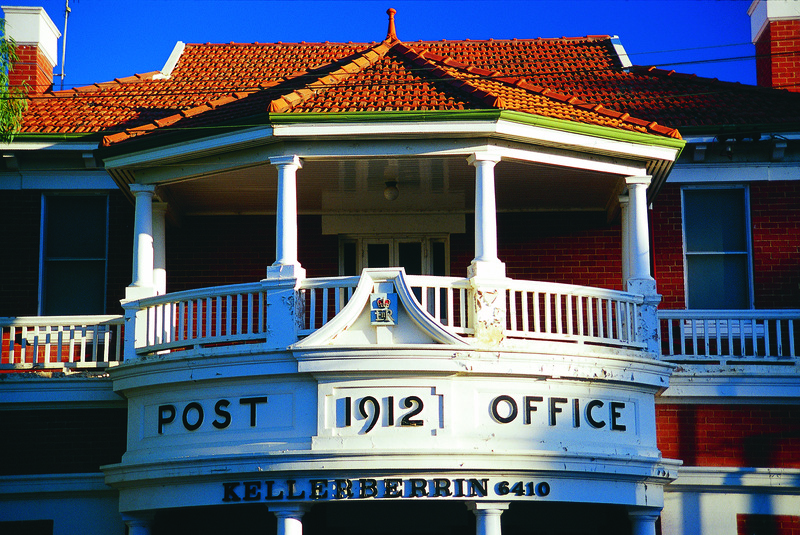 Settlers were encouraged into the area and, in 1895, Kellerberrin was surveyed as a townsite. where only a man, his dog and a dead kangaroo existed. He didn’t mind them having a hall, but not at the Government’s expense. Nevertheless, the town was gazetted in March 1901 and developed quickly, soon boasting a hotel, post office, flour mill, three churches and a number of businesses. Where the Golden Pipeline is concerned, Kellerberrin is the site of a major new electric pump station, completed in 2001 at a cost of $5.6 million.